Meet Tony and Kathy. 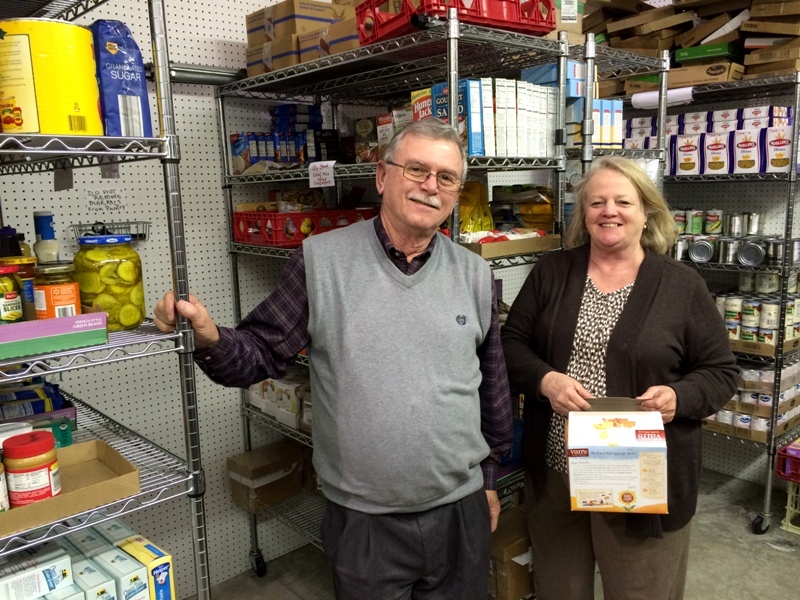 They run the food pantry at Hope of Glory Ministries, one of our partner agencies in Greenville. They provide food to more than 70 families every month. But they don’t stop there–They also help teach people life skills like personal finance to help them get back on their feet. “There are people who have jobs but still have to make tough decisions about which bills to pay–whether to pay their rent or eat. And we want to help them through that. It’s the working poor that’s falling through the cracks,” said Tony, Director of Outreach at the Ministry. In Greenville and the surrounding area, there are more than 36,000 people struggling with food insecurity, a quarter of whom are children. We are grateful to dedicated partners like Tony and Kathy who help so many people in need in the Greenville community. To learn more about the Food Bank at Greenville, visit our website: greenville.foodbankcenc.org.